Last week, NeoCoreGames delayed the final release of its latest game, Warhammer 40,000: Inquisitor - Martyr, by about three weeks. In announcing the delay, the Hungarian studio proposed a very unusual barter with its fanbase. "Again, sorry for this as we kindly ask for your further patience and hopefully it won't be a deal breaker for any of you," NeoCoreGames producer Zoltán Pozsonyi said in an update to the game's Steam community. "In return, we promise we'll push this extra three weeks in 90+ hours per week so it'll be very-very useful for Martyr." So if the fans don't riot over a three-week delay, the developer promises it will spend the entirety of those three weeks working themselves to the bone. To their credit, the game's fans by and large rejected the offer. Most of the comments on the NeoCore update were something along the lines of "Please don't, that's absurd. Take your time and we'll enjoy a better game later." Outside the fanbase, the offer was not so positively received, with many people excoriating the studio for embracing extreme crunch in this way. The studio quickly edited its update to remove the specific promise of crunch, and later claimed it was a joke about how passionate the developers are. "Over time, 'passionate' has become a synonym for 'unreasonable'"
If there's one thing in this industry overworked more than NeoCoreGames developers*, it's the word "passion." There's nothing really wrong with the word in and of itself. It accurately describes a certain level of dedication and drive common in the industry, the idea that people in the field are not doing what they do for a paycheck. They are doing it for love of the game. In general, that's fine. But over time, "passionate" has become a synonym for "unreasonable." It's a one-size-fits-most code word to put a happy face on some of the industry's worst tendencies. A studio that relies on extreme, prolonged crunch game-in and game-out isn't mis-managing projects or exploiting developers; it simply "has a passionate studio culture." Would-be auteurs who make a habit of yelling at people in the workplace and count fear and intimidation among their management tools aren't abusive employers; they're "passionate creators." Gamers that angrily demand to be pandered to, hurl death threats at developers, and dump hateful sewage into public chat channels aren't vile, entitled brats actively hurting the games they say they love; they're just a "passionate community." 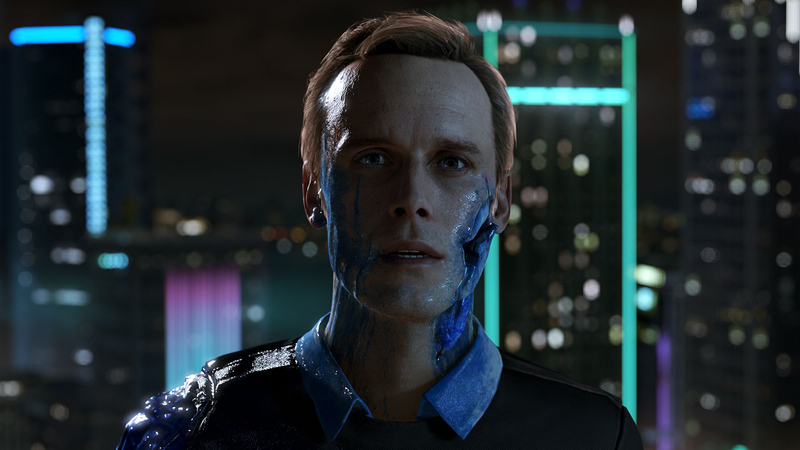 "Inappropriate conduct or practices have no place at Quantic Dream. We have taken and always will take such grievances very seriously. We value every single person who works at Quantic Dream. It is of utmost importance to us that we maintain a safe environment that allows us all to channel our shared passion for making video games." On its face, that's a pretty solid denial. It speaks to the values and priorities that people upset about the allegations would care about. The focus is not on the accusations, but on Quantic Dream and its positive qualities, its collective passion for creating games. From a PR standpoint, it's a pretty shrewd and effective move. Or at least, it would have been if it weren't basically stolen. Let's contrast Quantic Dream's remarks with the statement Naughty Dog released just three months earlier, when it offered its own strenuous objection to a former employee's story about being sexually harassed by a lead and reporting it to HR, who promptly fired him. "Harassment and inappropriate conduct have no place at Naughty Dog and Sony Interactive Entertainment. We have taken and always will take reports of sexual harassment and other workplace grievances very seriously. We value every single person who works at Naughty Dog and Sony interactive Entertainment. It is of utmost importance to us that we maintain a safe, productive workplace environment that allows us all to channel our shared passion for making games." "If there is no common PR crisis playbook people are working from, then at least we can add plagiarism to the litany of accusations against Quantic Dream"
Clearly, passion's not the only thing they share. It's possible Sony Interactive Entertainment lent its development partner Quantic Dream a hand with the statement, but one would think the PR experts who crafted the Naughty Dog statement would realize how sleazy, insincere, and damning it would be to take a moment when honesty and transparency (or at least the appearance of such) are key, and to be caught cut-and-pasting the same statement someone in the same field used just a few months earlier about awfully similar allegations. And if there is no common PR crisis playbook people are working from, then at least we can add plagiarism to the litany of accusations against Quantic Dream. As for Naughty Dog, even if its statement was original, it deserves a good long mention in any editorial about how the industry uses "passion" to hand-wave away significant problems. 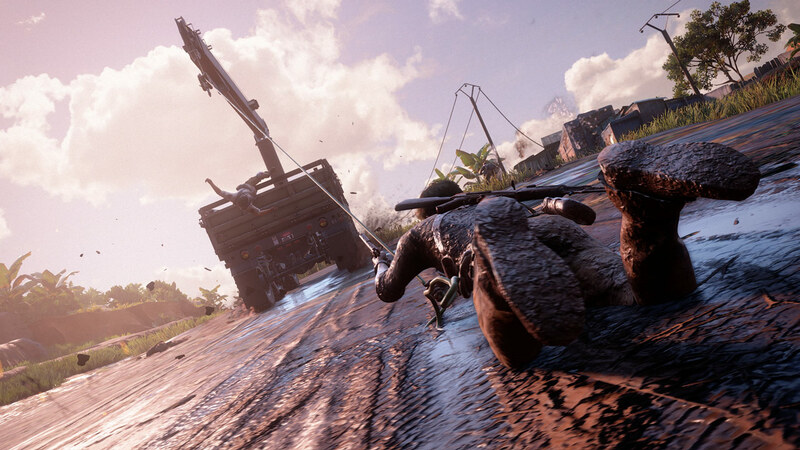 After all, NeoCore faced backlash for the idea of its developers crunching for a few weeks, when Naughty Dog is willing to crunch them for a decade or more. Uncharted creative director Amy Hennig worked at Naughty Dog for more than 10 years before jumping to Electronic Arts in 2014. A couple years after her departure, she talked about the studio's "notorious" crunch culture, saying she worked more than 80 hours a week the entire time she was there. "There's people who never go home and see their families. They have children who are growing up without seeing them," Hennig said. "I didn't have my own kids. I chose my career in lots of ways, and I could be single-minded like that. When I was making sacrifices, did it affect my family? Yes, but it was primarily affecting me and I could make that choice. But when I look at other people... I mean, my health really declined, and I had to take care of myself, because it was, like, bad. And there were people who, y'know, collapsed, or had to go and check themselves in somewhere when one of these games were done. Or they got divorced. That's not okay, any of that. None of this is worth that." Getting back to NeoCore, the company claimed its promise to work 90+-hour work weeks was a joke, but as with the Quantic Dream and Naughty Dog invocations of passion, a closer look suggests the studio was instead using it as a shield. In December, when NeoCore delayed an update, it pledged to have it out on January 10. "Seriously - we'll release this patch even if the whole company has to spend Christmas and New Year's Eve in the office," Pozsonyi said in the Steam community update. Last month, when NeoCore said there would be no more new Steam builds until launch because it had to buckle down and crunch to make the then-planned May 11 release date, it emphasized the team's passion (as measured by its willingness to crunch) once again. "Of course, we still have tons of work to do, and many of us are already pulling 80+ hour weeks, as it usually goes during crunch time," Pozsonyi said. Considering jokes aren't known for getting funnier the more you tell them, this looks much more like a calculated strategy to mollify the more "passionate" elements of the studio's fanbase whenever NeoCore has the mildest of bad news to break. 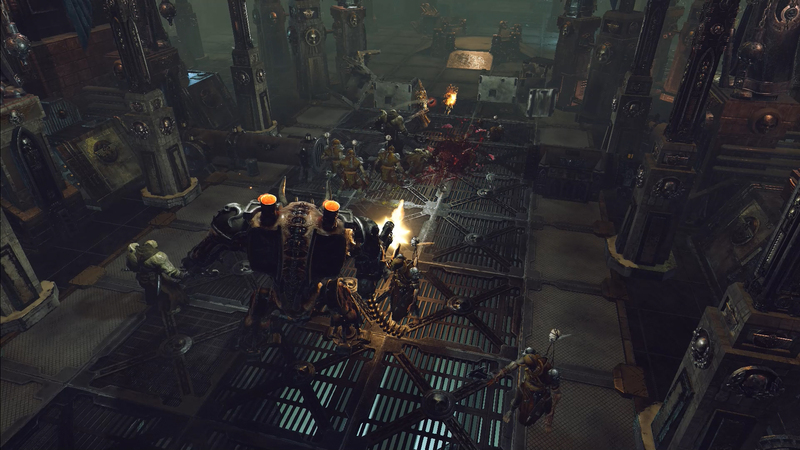 Warhammer 40,000: Inquisitor - Martyr has been playable for eight months in Early Access. NeoCore was delaying the final launch for just over three weeks, in order for the PC version to "launch" at the same time as its console counterparts. While a blood sacrifice is very on-brand for Warhammer--Khorne would no doubt approve--it's clearly not called for here, nor is pledging to work your employees into the ground "in return for" something that would be hard to rank as even a minor inconvenience. The worrying part is that NeoCore's tactic has essentially worked. As mentioned above, player reaction to the promise of overtime was largely civil and understanding. I don't know if that's because NeoCore has just fostered a mostly healthy, reasonable community for Warhammer 40,000: Inquisitor - Martyr, or if it just adapted to the caustic nature of modern fandom and the most effective way to curb the players' toxic passion is to make a show of one's own, pledging to sacrifice developers' health to placate the angry hordes. And if that's where we are as an industry, it's time to take a step back and re-evaluate the way we talk about passion as an unqualified good. Passion is great within reason, but too often what we're actually celebrating is obsession. *That was a joke. Did it not seem like a joke? Weird. Definitely a joke, though. Definitely.